How to change your Gimp theme with gtk2-runtime-2.24.10 and Theme selector for Windows only. ***This is for those who would get bored like me an would like to switch Themes once in a while. Also for those who will like to change the Gimp program Font and size. 1. Download gtk2-runtime-2.24.10 from here: https://sourceforge.net/projects/gtk-win/ and https://gtk-win.sourceforge.io/home/inde.../Downloads . Install both programs. Once installed, go to your: C:\Programs\Program Files (x86)\GTK2-Runtime. Click on the gtk_prefs file, copy and paste this file on your Desktop. 3. 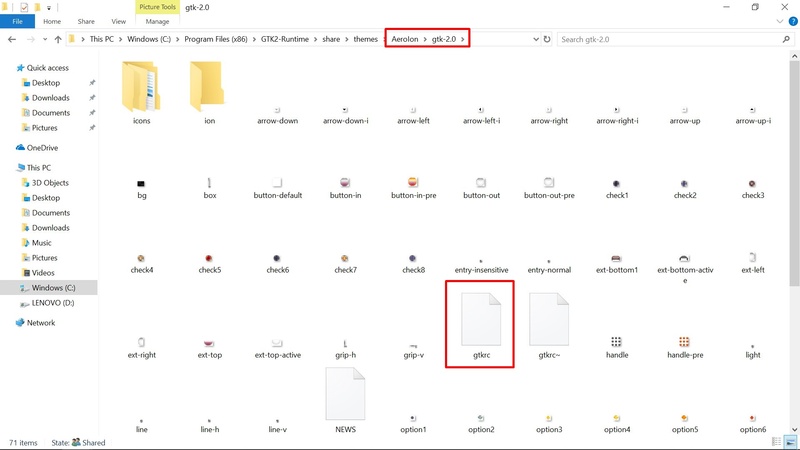 Open any folder and make sure there is a Sub-folder name "gtk-2.0. Open the Sub-folder, there it should be a bunch of png images and the main gtkrc (procedure file). 4. Now, go back to the themes folder, press Ctrl and A, to Select All the folders and Copy all these folders. Go to: C:\Programs\Program Files \GIMP 2\share\themes, and first, delete all the themes, if there is any. 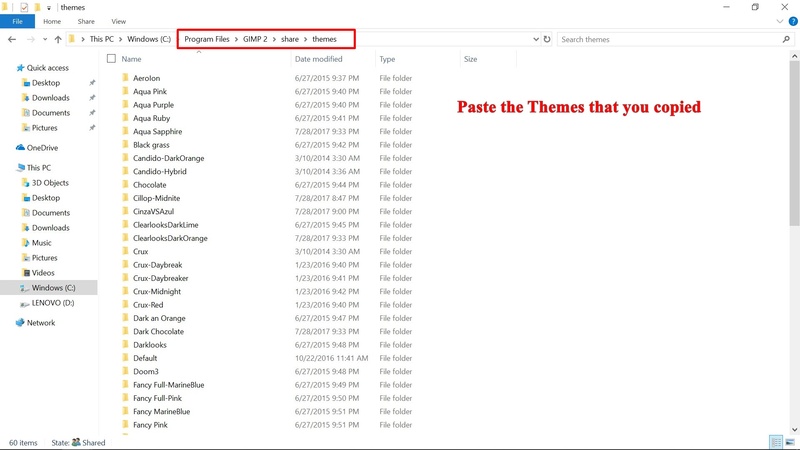 Paste the copied Themes in this folder. 5. 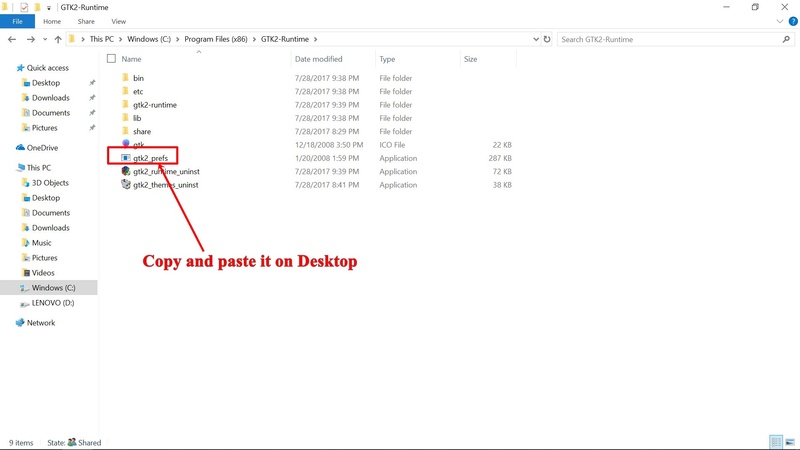 Like I stated before in Step 2, if you have a new Theme, you must place the theme folder in your: C:\Programs\Program Files (x86)\GTK2-Runtime\share\themes and copy the same folder to your: C:\Programs\Program Files (x86)\GTK2-Runtime\share\themes folder. 6. Go to your Desktop and double click the gtk_prefs and you will have the Themes selector. From here you can set the themes you want and you can change the Font size and thickness you preferred. 7. Click OK, and press Yes, to overwrite the previous theme. Start Gimp, and you enjoy your new Theme. 8. If you Update to a newer version of Gimp or If your: C:\Programs\Program Files \GIMP 2\share\themes gets Overwritten, Copy the Themes from: C:\Programs\Program Files (x86)\share\themes and Paste them to the new version folder, C:\Programs\Program Files \GIMP 2\share\themes. I'm not convinced you can recommend to delete all the themes in a Gimp installation. They will come back after the next update. And editing a theme there is also short lived, it will not survive a version upgrade. The Right Way is to copy a theme to your own user profile (there is a Themes directory for this there) and then edit it as you wish. Why you keep bugging with the same comment you did on gimpchat.com? I'm trying to help some user with their question and what you're doing is opposing to the things that I've done by experience and they are good. I said to Delete these version, is because the default Themes are really dull. There should be more option than 2 or 4 Themes. Because you are giving similar misguided information (and here you aren't answering someone, you are posting a tutorial). What works for you may not work for others, and won't work after the next upgrade.. 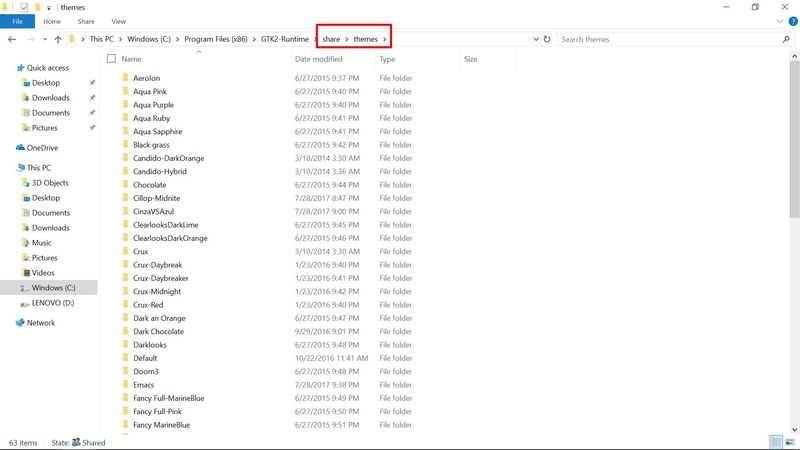 There are places (like a computer I have at work) where the contents of the Gimp installation directories cannot be changed (no admin privileges). 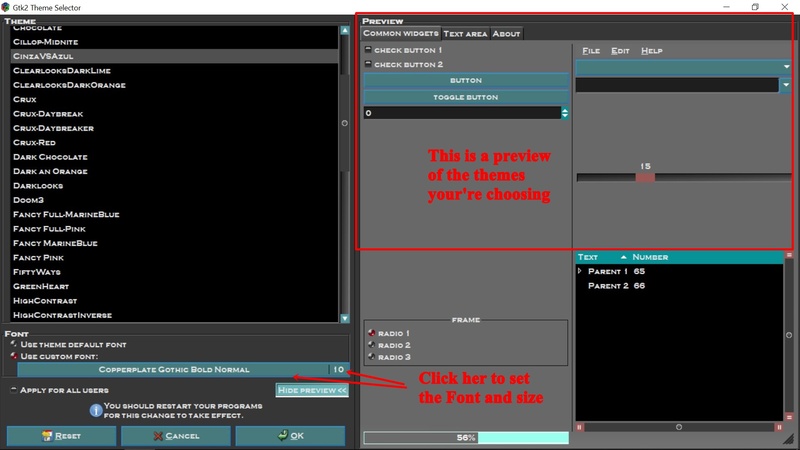 Gimp is setup to allow people to customize it as they want using their Gimp profile. No need to tinker with the installation. And installing a GTK version that can conflict with the one coming with Gilp isn't a good idea. That doesn't technically justify their deletion. Other people may like them and just want a bigger font. Except that you have to remember that you did it several months ago. Wait for some "Gimp destroyed my themes!" angry posts here an on GC. TL;DR: There are plenty of themes for Gimp around, and a way to have them safely in the user's control, so why are you making things more complicated and risky than needed? All I can tell you is that have done it myself and never had any issues. Current time: 04-22-2019, 10:05 PM Powered By MyBB, © 2002-2019 MyBB Group.